A new Ambika Yoga newsletter is out ! Are you already receiving the Ambika Yoga newsletter? If not, feel free to register to receive (on average) a monthly mailing with a step by step pose (asana), a yogi recipe, general information about yoga. The October edition has been sent today ! You can view it here online. 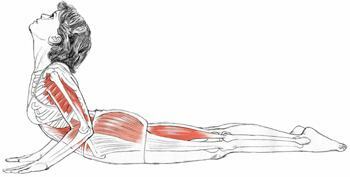 The topics are: Swami Vishnudevananda, Kale, Cobra pose (Bhujangasana). Categories: Newsletter, Sivananda, Yoga info, Yogi food | Tags: Cobra, kale, newsletter | Permalink. This is the 3rd time Sampoorna Yoga Studio organizes the Early Morning Yoga challenge, every day from Monday to Friday this week there’s a 60 minute asana class followed by a free yogic (vegan) breakfast. If you didn’t come yet, please do, it’s a wonderful experience and getting out of bed isn’t hard at all once you know you’ll give yourself the gift of yoga (& won’t have to think about breakfast as it’ll be prepared for you!). Looking forward to welcoming you this week in at least once morning class. Categories: Yoga info | Tags: asana, breakfast, challenge, class, morning, Sampoorna | Permalink. Meditation is the very essence and life of all spiritual Sadhanas. Categories: Yoga info | Tags: meditation, quote, Sivananda, spiritual | Permalink.